This Contemporary 3 Piece Basin Set is designed for both existing and new homes; finished in an Electroplated Matte Black coating. The fixed spout is designed at the optimal height for easy access to the basin or sink. 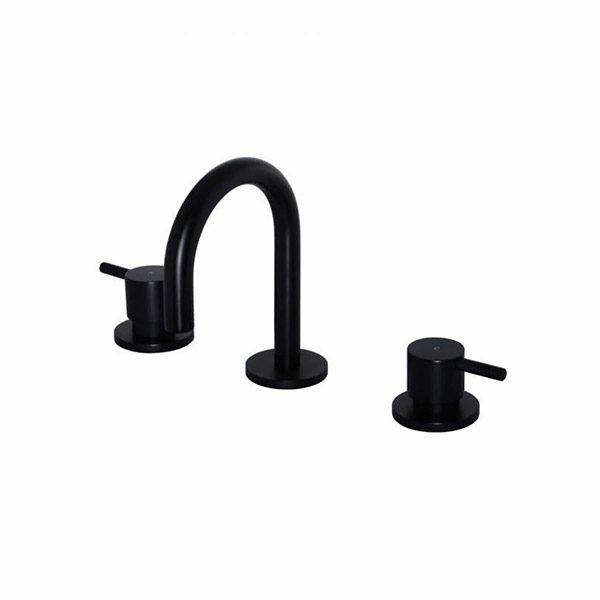 The inclusion of the matte black quarter-turn handles enables easy water control for all age groups.